We are manufactures agents who supply high quality cleaning chemicals for both the commercial and consumer markets. We also offer brushware, disposables, paper, janitorial, equipment etc. PNG Trading offers a comprehensive range of SABS approved chemcials and HACCP approved products needed for the food and beverage, retail, hospitality and catering, farming, pack houses, transport, processing, fishing, contruction and general Industry. PNG Trading offers a comprehensive range of SABS approved chemcials and HACCP approved products needed for the food and beverage, retail, hospitality and catering, farming, pack houses, transport, processing, fishing, contruction and general Industry. We cover the entire Eastern Cape – Humansdorp, Jeffrey’s Bay, Joubertina, Kareedouw, Hankey, Patensie, Thornhill, Uitenhage, Despatch, Port Elizabeth, Addo, Sunlands, Kirkwood, Grahamstown, Alexandria, Port Alfred, Komga, East London, King Williams Town, Stutterheim, Queenstown, Aliwal North, Butterworth, Umtata, Cradock, Somerset East, Middleburg, Jansenville and Graaff Reinet. We also do the SWD – Storms River, Plettenberg Bay, Knysna, George, Mossel Bay, Oudtshoorn and Beaufort West. PNG Trading is situated in the Friendly City of Port Elizabeth, South Africa. A-Z Hygiene Suppliers. Postnet Walmer offers a wide variety of services ranging from Courier to Copy & Print, Stationery, Binding, Laminating, Flyers and Business Cards. PostNet is SA’s largest privately owned counter network in the document and parcel industry, trading across over 280 owner-managed retail stores. PostNet Courier offers a comprehensive range of Domestic and International courier products and services to a large number of diverse organisations in the South African business market. Through our large network of over 280 owner operated retail stores and our carefully selected strategic partners, we are able to offer the widest range of courier services in South Africa. PostNet Courier, over the past 20 years, has become a respected brand and a force to be reckoned with in the South African courier industry. Our customers are delighted with the personal and professional service they receive. PostNet Courier can tailor a courier solution for you as an individual, small business or big corporate. Whether you are sending one parcel or 1,000 parcels, PostNet Courier is your first and obvious choice. PostNet was founded in 1994 when there was an urgent need in South Africa for an operation that could deliver a range of efficient business solutions. PostNet SA (Pty) Ltd is wholly owned by the OneLogix Group Limited, which is listed on the Alt-X sector of the JSE Securities Exchange SA and in 2013 transferred to the Main Board – Transportation Services sector. The OneLogix Group Limited subsidiaries are Vehicle Delivery Services, Commercial Vehicle Delivery Services, OneLogix Projex, OneLogix Projex Cargo Solutions, Madison Freight Lines, Onelogix Linehaul, OneLogix United Bulk, PostNet, Atlas Panel Beaters, QSA and Drive Report. PostNet serves in excess of 55,000 ‘walk in’ customers per day, countrywide. There are five product types within PostNet; Courier, Copy & Print, Digital, Stationery and Mailboxes. Siembamba has been educating children from the ages of two to five since the late 1980’s. From our school, they progressed to grade R to, mostly, the other primary schools in our area, being Lorraine primary, Sunridge primary, Charlo primary and Mount Pleasant primary. We are a dual medium school. Each child is educated in the language that he will be using in his grade one class. This year, about one third of our pupils were English speaking and the rest were Afrikaans speaking, all of them socialising and interacting very well with each other. We adhere to a Christian teaching ethos. We train our children according to the rules of love, a calm personality, respect towards each other, their parents, the community and towards nature. Our staff treat our parents and our children with RESPECT and LOVE. This is our foundation for all interaction, learning, discipline, fun and play. Our aim is to enable each child to have self confidence and self respect, and to be calm and happy in mind and spirit, as well as in his actions and behaviour. We aim to develop an enquiring and enthusiastic mind that is optimistic and confident about his own skills and abilities. We want to assist each child to develop a healthy social life, and to instill a respect for others. We endeavour to stimulate each child to achieve his optimal academic potential thus making him fully equipped for the “big school”. We count it our privilege to assist our parents in every which way we possibly can. You are welcome to discuss any concerns with us that you might have. Be assured that we are, first and foremost, your child’s mother during the day. They receive as much love, hugs and support as possible. Small children need emotional encouragement and love at all times, and this is what we strive to do at our school. Their happiness is our main concern. Welkom by Siembamba! We treat our parents and children with RESPECT and LOVE. This is our foundation for all interaction, learning, discipline, fun and play. Van 2 tot 5 jr. Warm etes, uitgebreide leerplan, Buitemuurs. Afrikaans en Engels. The Algoa Bay Yacht Club (ABYC) is based in Port Elizabeth, South Africa. Port Elizabeth forms part of the Nelson Mandela Metropole. ABYC has been host to many national and international sailing events. ABYC exists to; “Foster an interest in sailing” and we provide the facilities to meet this objective. An active sailing section, marina, convivial pub and excellent restaurant (The Chartroom) with a great view all combine to make ABYC one of the friendliest venues in the Friendly City. A rich nautical and competitive sailing history with many resident and visiting characters assure you of a unique Port Elizabeth experience. Competitive sailing takes place every weekend throughout the sailing season and social Wednesday Evening Sailing is open to all who want to; “try before you buy”. ABYC is conveniently situated within the precincts of the Port Elizabeth Harbour just north of the National Sea Rescue (NSRI) and Port Elizabeth Deep Sea Angling Club (PEDSAC). Membership is open to all who express an interest and active participation in sailing and offers many benefits. My Credit Status provides premium credit reports to the South African consumers and also provides tips and advice on how to improve your credit score. Teledigital Communication is a South African IT and data communication service provider. We specialise in digital communication, internet PTT and other push to talk related solutions. Fancy a career move towards Architectural Draughting or Architectural Technology? Try an introductory course to see what the career is about? Would you like to strengthen your portfolio for your university application next year, or would you just like to up-skill yourself for your career by doing short courses? – The Box Learning Studio is for you. Corporate Liquor Mobile Bar Catering Port Elizabeth. Your first choice for Bar Catering. We believe in setting the standard in Quality and Excellence, getting your event right first time every time! Throughout Port Elizabeth, Corporate Liquor offers a professional service with an eye for detail that stands out from the rest, whether it is for an event for 20 to 20000 guests, a private party, wedding, trade fair or corporate event. Our services range from a Mobile Cocktail Bar System to organizing your complete catering needs. We offer a free personal consultation that enables us to tailor your event to your individual requirements and needs. From this, we will give you a quote without any obligation. Bullyz is the fast growing African sports brand started in 2014, centered around the idea of bringing the youth a new lifestyle, not only applicable to sport, but life challenges as a whole. 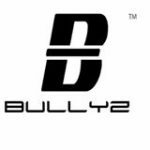 The name BULLYZ is an acronym, which stands for (B)reaking (U)p (L)imits (L)iving (Y)our dream(Z), giving the name a positive underpinning, while maintaining a solid hard hitting edge, necessary to build a firm identity, in a field ranging from active lifestyle, to extreme sports. Bullyz Fitness (Tights, shorts, racer-back vests, long sleeve breathable tops, lifestyle tshirts and caps). Summer gear (T-shirts, tank tops, snap back caps), Winter gear (Beanies & hoodies). Bullyz apparel is a brand of locally designed and manufactured sportswear ranging from performance items to comfort and leisure. What sets us apart is that our clothing isn’t only designed to make you look good, but each product is made from specially selected material and tailored to meet specific body movements. So you not only look good but your clothes last and they perform well too. Camiza is a Port Elizabeth based supplier of office wear and work wear with all garments manufactured right here in Port Elizabeth. Camiza offers you a unique corporate image in your company’s corporate colours and branding if required. Buy out garments can also be sourced to cater to your specific requirements. This hands on approach assures you of excellent service as well as after sales service. If you are unsure of what to wear in the work place and are looking to build up your professional work wear closet Camiza can offer you a range that is easy care wash and wear whilst being professional, stylish and priced competitively. Your office wear can be dressed up or down by adding a few key pieces of clothing to your working wardrobe. Camiza is a Port Elizabeth based supplier of office wear and work wear with all garments manufactured locally.